Pentair's Residential Membranes use an industry leading state-of-the-art TLC (Thin Layer Composite) membrane providing high quality water for a broad range of water chemistries. Each membrane is required to meet our factory's strict performance requirements prior to shipment. 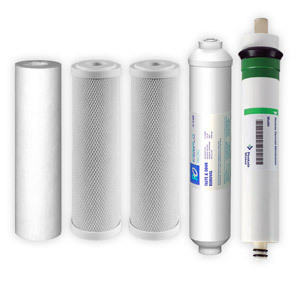 Pentair Membranes are interchangeable with Filmtec, GE, CSM and other standard size membranes. Upgrade your reverse osmosis system today to a top performing Pentair membrane and enjoy savings too!